Kung Fu is one of the oldest fighting arts known to mankind. The date of its origin has been lost to antiquity. There are many meanings for the term Kung Fu (pronounced Gung Fu). The term Kung Fu literally means “hard work and accomplishment.” One can have Kung Fu in a variety of different ways: the playing of a musical instrument, the repairing of an automobile, and the preparation of a difficult dish. In this case it is used in a martial art. It all began, so the legends say, when a stern Indian monk noticed that his young Chinese disciples could not stay awake during the long and tiring meditation of the new religion, known as Chan or Zen Buddhism. Not conditioned to endure the exhaustive meditative methods developed by the Hindu, Yogic, and Buddhist monks of their masters homeland, the young disciples seemed on the verge of failure in their own undertaking. 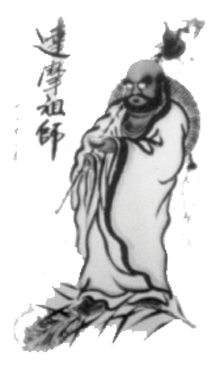 Realizing this, the first patriarch, Bodhidharma (Damo), took the initiative and introduced his frail disciples to an 18 movement exercise (18 Hands of Lo-Han) based on techniques discovered and developed beyond the Himalayas. At Shaolin Temple (the location and origin of Shaolin Kung Fu) daily practice of the 18 movements soon strengthened the young disciples enough to receive their master’s teachings, thus sowing two seeds that the world would later know as Chan (Zen Buddhism) and Shaolin Kung Fu. The five most prominent individually developed Kung Fu systems found in Southern China are known by their family names–Hung, Liu, Tsai, Li, and Mok. Among these Gar (meaning family or clan) styles, the style belonging to a Fujien tea merchant, Hong, Xi Guan, became the best known of the group with a two hundred year-old reputation as “The Southern Fist’. Hung Jia Quan is an adaptation of the Shaolin Tiger system originally taught to Hong by the monk, Master Zhi Shan, according to legend, at the Shaolin temple in Fujien. Master Zhi’s initial instruction stressed close quarter fighting methods. Four square feet would be enough room to perform an entire ‘set’, which is extremely effective for combat in the confining alleys of China during the Qing Dynasty. Qing Dynasty was full of destruction and turmoil. In about the year 1670, the Qing unleashed its army in a campaign to crush all rebellious activity throughout the realm. Thousands of soldiers were sent out to destroy the Shao-Lin temples because these temples had become hotbeds for the conspiracy and intrigue. Master Zhi Shan escaped the bloody assault of the imperial troops, and fled southward into Guangdong (a.k.a. Canton). The destruction of his native temple made him determined to overthrow the Qing. He began to teach the Shao-Lin Kung Fu to other militant patriots, unnoticed, inside Guangdong’s opera houses. The opera houses at that time were all on boats. Master Zhi Shan was forced to the less-than-favorable instructional environment. A boat is not stable, and perpetually rocks back and forth. 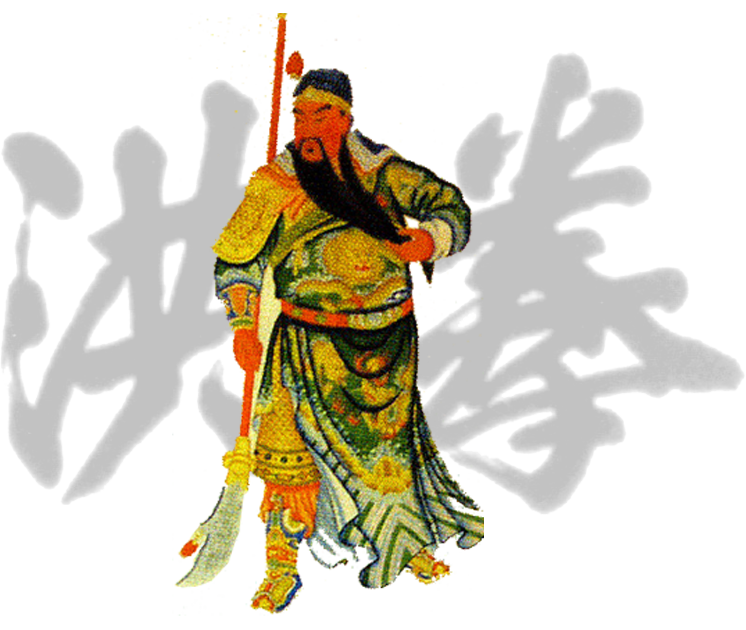 So, Master Zhi Shan taught his compatriots to fight in very low, very solid horse stances. Also, there was not a lot of room on board, so the monk de-emphasized kicking and jumping techniques. Soon, Master Zhi Shan sent his students out on their own to organize other patriots, and teach them Kung Fu. Unfortunately, their numbers did not grow large enough, or soon enough, to lead the revolution they dreamed about. But the fighting art that they created did become one of the most influential in China. Disciple Hong took his subsequent mastery of the Tiger Claw and combined it with his wife’s White Crane style expertise, which featured graceful finger curl hooking and sharp pecking actions. He further added to his personal adaptation by using selected techniques of Leapord, Monkey, and Snake forms. Hong also included aspects of the “Five Element Fist’- Metal, for strong hammer and backfist-, Wood, for simultaneous blocking and punching- Water, for a series of battering blows as the ocean waves ceaselessly pound the shore- Fire, for rapid, straight strikes, as in a bombardment of rockets; and Earth, destructive blows to vital body cavities resulting in a cave of total annihilation. Excerpts taken from: Kung Fu History, Philosophy, and Technique.